We normally like our breads to be the hero of any dish but with our flatbreads they act as a canvas upon which the rest of the ingredients can do their thing. They are the perfect product for an imaginative chef wanting to create something a little different. South America is currently enjoying a lot of interest in the UK and our chimichurri inspired flatbreads incorporate many of those Argentinian flavours such as cayenne pepper, oregano and kibbled onion for some added sweetness. Docked by hand, these delicious flatbreads are made using 100% British flour and premium Kentish extra virgin rapeseed oil. Sourdough is still hugely fashionable in the restaurant world and we wanted a neutral base for chefs to use alongside the more heavily flavoured chimichurri. Docked by hand, these delicious flatbreads are made using 100% British flour and premium Kentish extra virgin rapeseed oil. Our flatbreads have been inspired by the trend for lighter eating and are the perfect base for chefs to create amazing dishes. Simply brushed with oil and chargrilled, they can be topped with all manner of ingredients to create a refreshingly different dish. 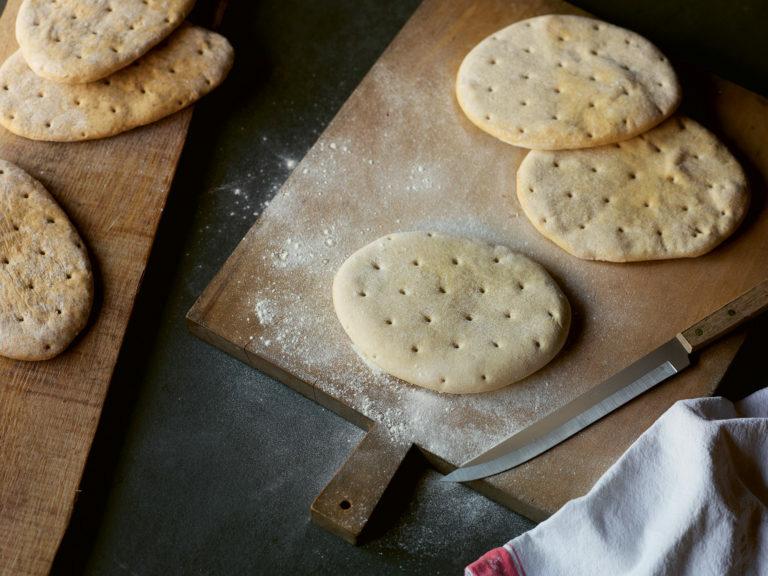 The name Saboroso is Portugese for ‘tasty’ and as our Chimichurri flatbread was inspired by South American cuisine it seems like the perfect name for these exciting new breads.